There are many ligaments in the wrist that can get injured, but a scapholunate ligament tear is the most common wrist injury. 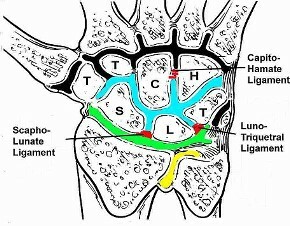 The scapholunate ligament helps stabilize your wrist by binding lunate and thescaphoid bones. You end up dealing with a tear or injury due to hyperextension of the wrist. This may produce several symptoms that usually depend on the chronic nature of your injury as well as the severity of the tear. Your wrist is at the end of the big bone in the forearm and is a complex joint. It is composed of a small bone in the forearm called the ulna that is on the small finger side. It also has eight carpal bones, including the scaphoid, triquetrum, lunate, hamate, pisiform, trapezoid, capitates, and trapezium. Ligaments connect these bones together to make your wrist a very complex joint. You have a small bone in your wrist on the thumb side that is called the scaphoid. If you lift your thumb up in the air, you will notice a small depression right at the base of your thumb. It is called the anatomic snuffbox. You can feel the scaphoid by pressing your finger deep into the anatomic snuffbox. It is only an inch long with a twisted peanut shape. About 80% of scaphoid is covered with cartilage. Right next to the scaphoid, in the center of your wrist, is another small bone called the lunate. It looks like a crescent moon. What Is Scapholunate Ligament Tear? An injury to the ligament connecting the scaphoid to the lunate is called scapholunate ligament tear. As mentioned, the lunate and the scaphoid bones connect together with the help of the scapholunate ligament. The ligament is also on the back of your wrist. Both these joints move together because the scapholunate ligament connects them tightly. Any tear to the ligament will affect this functionality, making the lunate to bend backwards and the scaphoid to bed forward. This may leave a gap between the two bones. Once you have a tear, you may experience certain symptoms, such as bruising, swelling, weak grip, pain in the wrist, and snapping in wrist. Predynamic Injury: It is the mildest of the tear and usually a partial tear. You will not notice anything abnormal on X-rays, but an MRI may help confirm a partial tear of the ligament. Your doctor may also use an arthrosccope to look in the joint at the time of surgery. Dynamic Injury: This refers to a condition in which the ligament is stretched to an extent that it cannot do its job. You may also have injuries to other surrounding ligaments. Even though your regular x-rays may not show anything, stress x-rays may show a gap between the both bones. Static Injury: This type of ligament injury refers to a complete tear with injuries to the surrounding ligaments. 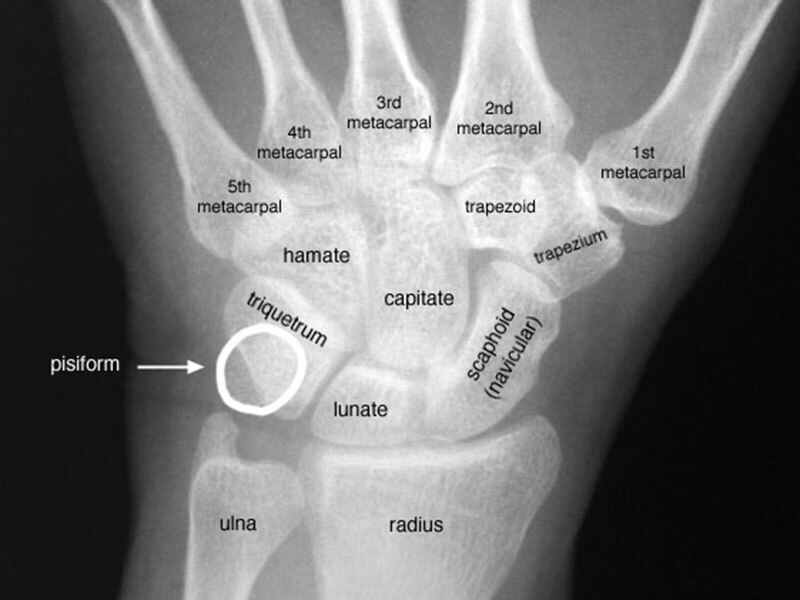 Even regular x-rays will show a gap between the lunate and the scaphoid. Scapholunate Advanced Collapse (SLAC) Injury: This is a complication arising from not treating a ligament tear. This may lead to arthritis. X-rays may also show evidence of cartilage damage along with a gap between the two bones. In addition to severity, scapholunate ligament tear can also be classified based on injury time, such as chronic (more than 6 months), subacute (4-6 months), and acute (less than 4 weeks). You get a scapholunate ligament tear due to sudden weight-bearing activities on the wrist and other accidents involving your wrist. 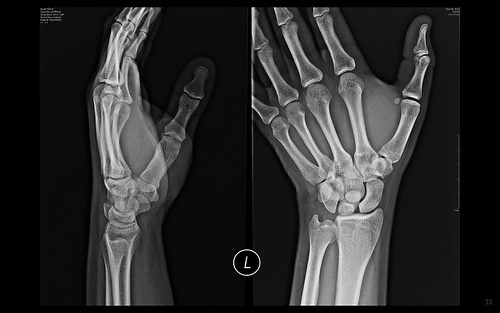 The injury can separate two small bones in your wrist leaving a gap that can be seen through x-rays or CT scans. How Can Scapholunate Ligament Tear Be Treated? You can try different treatment options depending on the severity of your injury. You will have to use splinting or casting in case of partial injuries that does not cause any instability of the scapholunate joint. Your doctor may also prescribe anti-inflammation medications and recommend hand therapy. Sometimes, you need surgical treatment including thermal shrinkage of the ligament and arthroscopic debridement. It is possible to repair the ligament surgically if it has ruptured recently. Your doctor will use temporary internal wires to hold wrist bones together. This allows for quick healing. You may also have to wear a cast or splint for a few weeks. Some surgeons suggest leaving a temporary screw between the lunate and scaphoid bones for 4 months. A ligament reconstruction is the only option in case your ligament tear is beyond repair. The procedure involves using a portion of a wrist tendon to create the ligament. Your surgeon will make use of temporary wires to keep both bones in place. You may have to opt for a proximal row carpectomy that involves the removal of the lunate, scaphoid, and triquetrum bones and is the only treatment option when you have chronically alerted wrist. A wrist fusion may be used in case you have advanced arthritis.